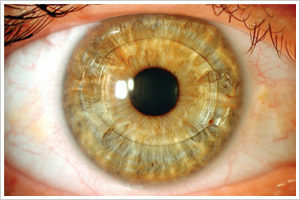 Are your eyes unsuitable for LASIK? You could still enjoy clear vision without glasses, with Implantable Contact Lenses from Drishti Eye and ENT Care. Implantable Contact Lenses work in much the same way as external contact lenses, but are placed inside your eye during a simple operation, giving you permanently clearer vision. ICL is very safe to use, extremely biocompatible and can even be removed in the future, as it is not designed to alter the structure of the eye in any way.